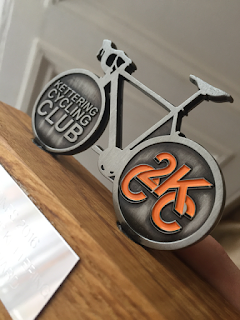 It was a great pleasure a week or so ago to attend the Kettering Cycling Club dinner, where just for once, I was the recipient of a cycling award (rather than the children!) in recognition of services to the 'Cyclones', our junior section, which Thomas Ivor joined back at the start of the year. 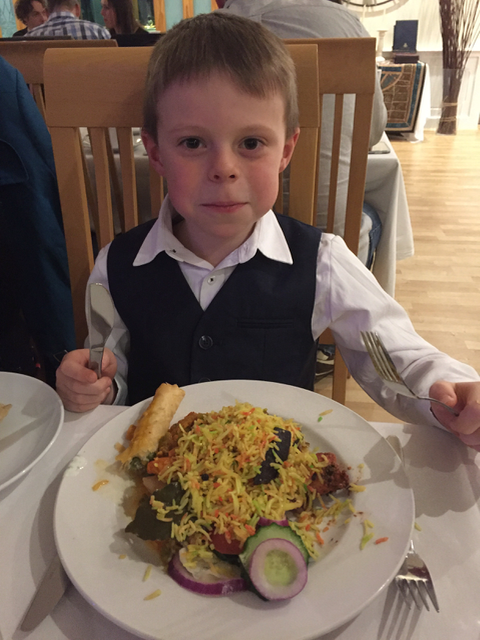 Thomas Ivor joined me for what turned out to be his first Indian meal! It was great to be recognised, along with others from the Cyclones, amongst the club as a whole, and alongside some seriously talented riders receiving their pots for the season. I first took Thomas Ivor along back in February, anticipating that he might benefit from some bike handling practice and fresh eyes on his technique, and wow, what a journey! 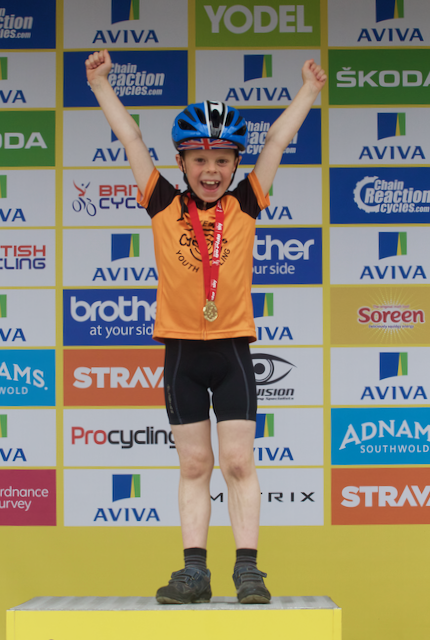 He's raced cyclo-cross in muddy Northamptonshire fields, lapped race circuits at Mallory Park and Rockingham, and all manner of things in between, including winning his race on the finish line at the Women's Tour stage finish in the summer, and standing atop the podium. He's made friends, something he doesn't always find easy amongst his peers, thanks to a shared interest. 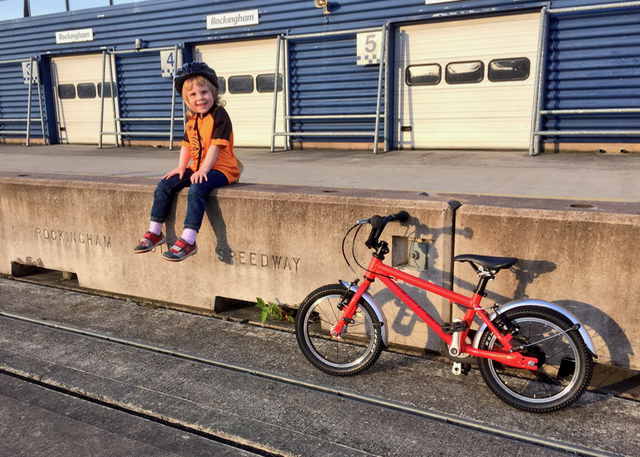 Even Ruth has had the opportunity to pull on the orange and black colours, even if taking part in her first race caused Daddy to have to run the entire course alongside her! Cycling clubs across the country are joining British Cycling's 'Go Ride' programme. 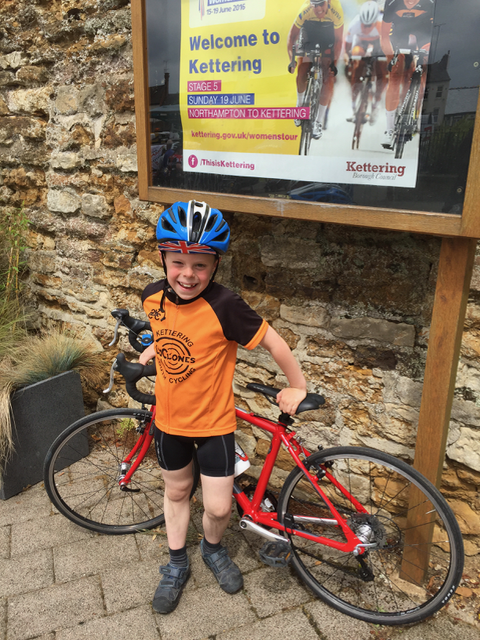 Find out about events near you on the British Cycling Go-Ride website and click here to read about my experience of Thomas Ivor's first 'Go-Ride' race!